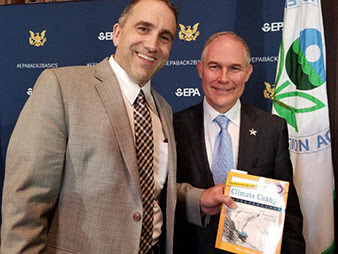 hile serving as administrator of the Environmental Protection Agency (EPA), Scott Pruitt was gifted multiple copies of Global Warming for Dummies and a number of climate denial texts, according to information obtained by a transparency organization…. Experts from Stanford University said that Pruitt was given at least eight books that are “clearly climate science denial.” The administrator rejected four of these gifts but accepted four. Of those, he donated one of the books, but kept three for himself. The three texts that the list said were accepted and “returned to Administrator Pruitt” were Warming? Yes! Man Made? 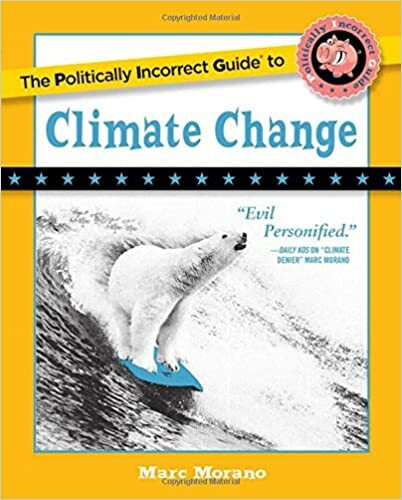 No!​, The Politically Incorrect Guide to Climate Change by Marc Morano​ and The Climate Chronicles. The former Attorney General of Oklahoma — who in that role repeatedly sued the EPA to challenge anti-pollution regulations — also denied climate science. “We know humans have most flourished during times of warming trends. There are assumptions made that because the climate is warming that necessarily is a bad thing,” he said. “It’s fairly arrogant for us to think we know exactly what it should be in 2100.” … Andrew Wheeler, a former lobbyist for the energy and coal industries, replaced Pruitt.